We’ve already reviewed Magento 2 customer segmentation extension by Mirasvit, and today it’s time to pay attention to its closest competitor – Amasty Customer Segmentation Magento 2 module. In the following post, you will find all its features described. Besides, we provide a detailed backend guide. The tool allows you to segment both registered customers and guests by various parameters to provide more precise marketing and better personalization. The Amasty’s Magento customer segmentation extension is not only powerful but also easy to use. It allows specifying attributes that should be used in rule conditions. As a result, you get lightning fast rule creation. Furthermore, when the rule is created, the module starts segmentation automatically. As a result, you get all the necessary data in a handy grid. In addition to various customer data, the Amasty Customer Segmentation Magento 2 plugin provides the ability to leverage shopping cart information. Consequently, you can sort customers depending on what, when, and in which quantity they add to cart. The list of Magento customer segments is always updated by cron, so the Magento 2 customer segmentation extension provides only relevant information. You can create hourly, daily, weekly, or monthly updates. Furthermore, the module allows updating everything manually, which is especially useful if you created a weekly schedule, there are 3 more days left to the update, but you need the segmentation data right now. It is also possible to run the update and export segmentation lists via XML or CSV any time. 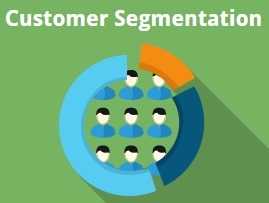 If the mentioned above data types are not enough for creating as many segments as you need, we have some good news: the Amasty Customer Segmentation Magento 2 module provides order based segmentation as well. 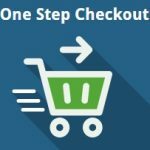 There are tons of order parameters that can be freely used for creating Magento customer segments. 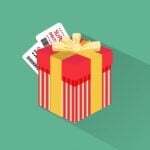 For instance, the number of days after the last/first order was completed, payment or shipping methods used to complete the order, the number of purchased items (with attributes filter), and more. Furthermore, it is possible to sort registered customers by the number of viewed products. Products added to wishlists can also be used as a basis of segmentation. As for the guest support, the Magento customer segmentation extension allows using various order information, billing and shipping address, and shopping cart attributes to add them to different Magento customer segments. 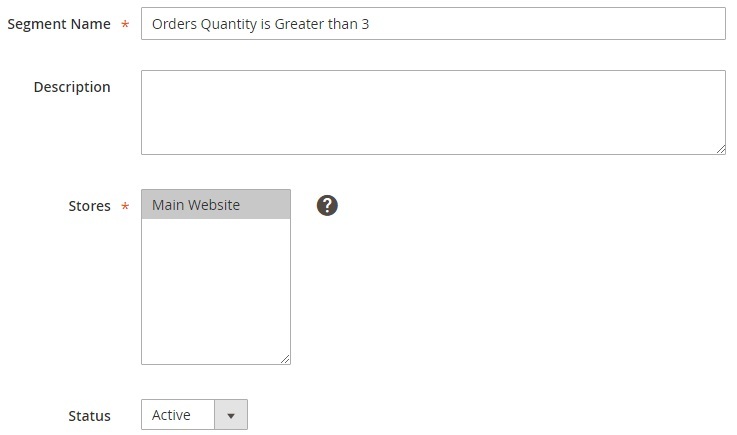 Besides, you can add order attributes to customer segmentation rules. Note that you should install Amasty Order Attributes to leverage this option. Next, select cron execution time. 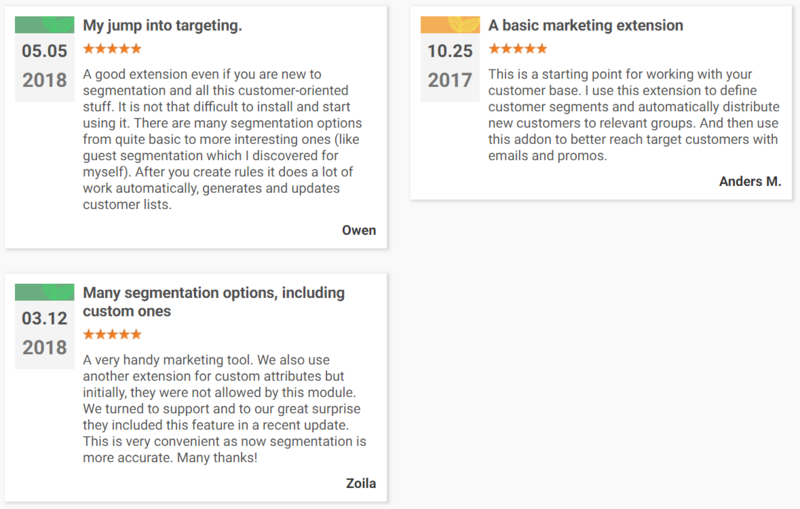 The Magento 2 customer segmentation extension offers the following options: Hourly, Two Times Per Day, Daily, Weekly, or Monthly. Now, go to Customers -> Customer Segments -> Manage Segments. There is a grid with all segments on this page. The grid displays a segment ID, name, status, and website. You can edit each segment, as well as delete multiple segments in bulk. While editing an already existing segment or adding a new one, you have to deal with 4 tabs: Segment Information, Conditions, Matched Guests, and Matched Customers. Let’s explore each tab. In the Segment Information section of the Magento 2 customer segmentation extension, specify a segment name, add its description, select a store view, and set a status (Active or Inactive). Next, create conditions. Note that each Magento customer segment can combine multiple rules. Also, note that particular attributes are available for registered customers only, so rules on their basis won’t work for guests. Compatibility with Amasty Order Attributes and Amasty Customer Attributes was introduced, allowing to use custom attributes for segmentation.